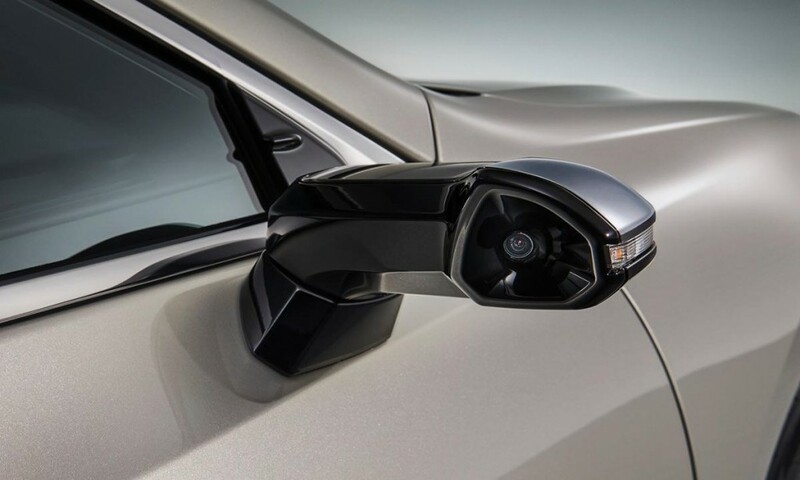 Lexus Introduces Cameras To Replace Side Mirrors, Should Cadillac Follow Suit? Lexus will be one of the first brands to introduce digital cameras to replace traditional side mirrors when the redesigned ES luxury sedan goes on sale this October in Japan. Should Cadillac push for similar technology? Automotive News (subscription required) reported Wednesday that the cameras improve safety, visibility and further hush the cabin from wind noise. Without the exterior components required for the mirrors, Lexus said fuel efficiency also improves since the setup has a lower wind resistance. The digital cameras will launch as an option on the ES 300h L in Japan. The country has long promoted camera-as-mirror technology and the brand will look at introducing the technology in other markets as it studies local regulations. In the United States, current laws prevent automakers from implementing cameras as exterior mirrors. Audi also plans to offer its e-tron electric crossover SUV with exterior cameras to replace mirrors in Europe, but the U.S. model will retain traditional mirrors. Cadillac rolled out an industry first when it introduced its rearview camera mirror with the Cadillac CT6 luxury sedan. 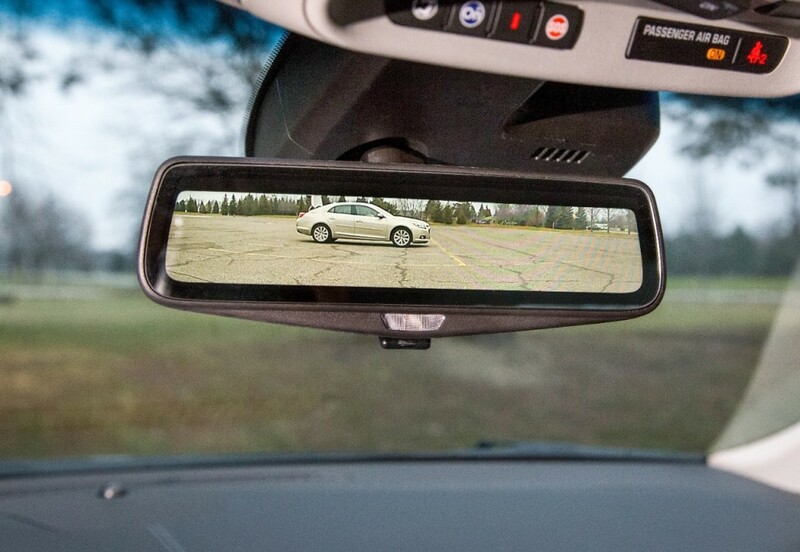 The traditional rearview mirror can flip from a standard reflection to a video feed with a toggle switch. The rear-facing high-definition camera features a high-dynamic range designed specifically to enhance rear view lane width and maximize low-light situations. The camera reduces glare and allows a crisper image in low-light situations compared to a traditional glass electrochromatic, or auto-dimming, rearview mirror. The camera is also finished with a water-shedding hydrophobic coating to keep it clean to maintain visibility regardless of the driving conditions. Indeed, the camera does provide benefits since it does not show obstructing objects like headrests, cargo or passengers. It’s currently available on a number of Cadillac models and the Chevrolet Bolt EV. Should Cadillac begin a push to introduce more camera-as-mirror technology? Let us know down below. CT5 coupe will get them. The Lexus solution seems like a gimmicky after thought for the sake of having “tech”. I say not yet. Let the technology prove itself out in the real world & legality surrounding it get resolved first before investing millions of dollars in something that might not pan out. These things look like “male anatomy” flopping off the side of the car! Didn’t anybody in Japan notice? If not, why not? If so, why would they want it to look like that? As a 2018 Buick LaCrosse owner, I’m for cameras supplanting rear view and side view mirrors in GM vehicles. I’m particularly interested in improving my rear view with the camera due to my tall sitting height. It would provide a clearer, more comprehensive picture without having to constantly adjust the seat. Aesthetically, I don’t see this as an improvement. We have had this feature for over 15-months on our 2017 Cadillac XT5 Platinum along with all of the other electronic/safety features offered as standard/optional and we never flip it back to the traditional rear view mirror. We love it, and everything else about this vehicle !!! Of course, YES. The fact that you can see even with water on side/rear window glass is a win. IMHO, make the side view cameras with see thru mirrors. Like one way privacy glass, in the event of failure. i like the idea but they tacked on two mini-screens(right and left) where the a-pillar meets the dashboard. looks silly. why not show the video in the instrument panel? I really like the rear view camera mirror on my XT5. GM should advertise it more. It seems they don’t advertise many features which would be real reasons for buyers to consider GM automobiles. Well if they can’t make it look better than this they can keep it. I have driven a car with Camera mirrors. Just some observations. They can make then look better. But note the still can be obstructed by snow and rain. Care needs to be done on placement. The lens is small so it takes less to obstruct. Two they take a little getting use to. Your eyes adjust to the distance now with the rear view reflection. Now you adjust to the screen. You get use to it but it takes an adjustment. Cameras are an improvement but they will have their own issues too. Cadillac should strive to be 1st with ALL groundbreaking technology instead of always playing “catch-up”. This segment is becoming more and more competitive, and Cadillac MUST be ahead of the competition. If the CT4 and CT5 are not significantly better than the ATS, and CTS, and they were rated as having the best chassis/ handling in their respective segments, and better than the competition in the segment, they simply will not sell any better than the ATS/CTS. I get sick and tired of hearing…….”if I’m going to spend that much, I’m going to buy a Mercedes (BMW/Audi) not a Cadillac”. You do know they were first with night vision, and rear view camera mirror. CT7 coupe not CT5 coupe will have camera mirrors. Also these government has to pass a law so you can have, things like camera mirrors on your car before you can put them on there. Lexus side cameras mirrors are only available in japan not in these states. CT7 coupe= side camera’s mirrors.